Full disclosure: I spent the first five years of my career in malls, recording and tracking customer traffic patterns, browsing behaviors, and conversion rates. While my days as a retail anthropologist are well behind me, parts of that time that have remained with me. For example, I can figure out the precise coordinates of the Auntie Anne's stall with my eyes closed. I can also find the optimal route to avoid the advances of unwelcome skincare samples. But all jokes aside, whenever I find myself in a mall environment, that old part of my brain clicks on, and I start to think about the who, what, when, where, and why of that particular space. Which is why, when Hudson Yards opened a few weeks ago, I had to go there and check out what's really going on with this "mall of the future." 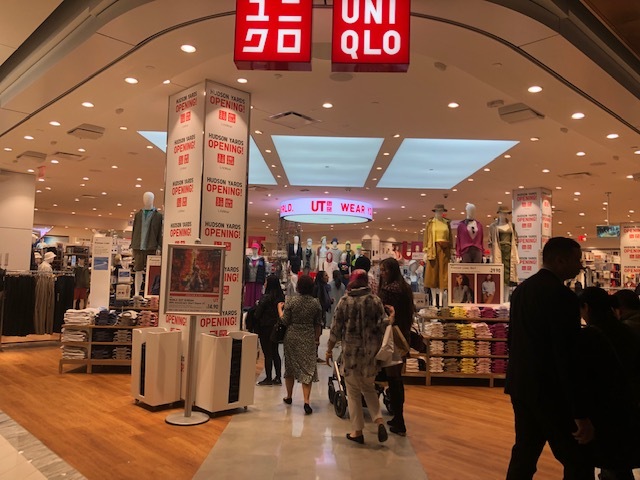 By this point, you've likely read plenty of articles about the development, some favorable (stores new to the city), some less favorable (mall for the one percent), so I figured why not weigh in with my four cents. It's early days for Hudson Yards, certainly too early to know how it's going to fare in the long run, but visiting when it's all shiny and new, before the first inevitable scratch or dent, at least informs us as to what its best self looks and feels like. So what exactly does Hudson Yards have to offer us, and is it truly unique? The logician in me likes to make a list of pros and cons when assessing the new and unknown. So in no particular order, here we go. Pros: proximity to the Highline, Javits Center, and the Lincoln Tunnel, well-heeled and -paid workers above, some cool Instagram opps, and a few shops and restaurants not found elsewhere in the city. Cons: the 7 train, 34th Street, and hoards of tourists. While there’s some bias creeping in here, this cursory list does beg the question, “Am I the target customer?” From my first few visits, I have to say, not really. I made sure to go both during the week and on the weekend because traffic for each week part has unique characteristics. During the week, when I was surprised by how few people were there, I saw some tourists, and others you could tell worked nearby, (from their attire and their purposeful walk). On the weekend, it was full of first-timers, both of the tourist and local kind. Lots of people walking around, looking up, looking lost, and window shopping. And before I get any further, it’s important to know that many of the stores at Hudson Yards - especially those on the first floor - are luxury brands. So much so, that my first impression was that this is a mall that belongs in Asia. If you’ve ever spent a humid and hot day wandering around a mall in Hong Kong, you’ll know exactly what I’m talking about. Air-conditioned, smells nice, and chock-full of luxury brands you can’t quite figure out who’s buying from them. 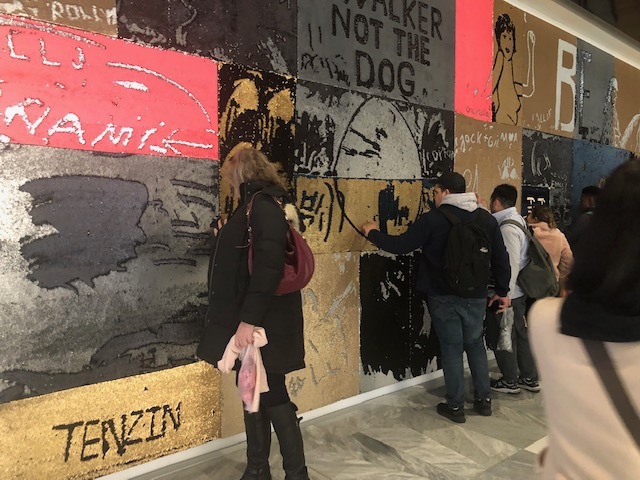 The thing is, while there’s plenty of demand for luxury brands in New York, we already have Soho, Madison Ave, and Fifth Ave. And besides that, shopping culture in the States is really quite different than Asia. But I digress. Do I think that tourists will come? For sure. Are they going to buy a $20,000 watch? Maybe not. But I bet they wouldn’t mind a burger at Shake Shack or some ice cream from Kith Treats. But for the rest of us locals, a lot of what’s there can be found elsewhere in the city, and probably with easier access. Will Restaurants Win over Retail? A big selling point of Hudson Yards, and I have to admit it was attractive to me too, was the offering of new restaurants and concepts from all-star chefs including David Chang and José Andrés. Little Spain, the city’s first food hall and market bringing us all things Spanish, is delightful, and some of the new restaurants are definitely going on my splurge list. But what struck me when I visited last Thursday was that while the restaurants were buzzing and had a nice mix of happy hour and tourist traffic, the stores were quiet. I have to wonder how that will play out over the long run. The hopeful design is that people will buy and eat under one roof, but, and it’s a big but, what if they just want to eat? (Insider tip - be open when I’m buzzed.) 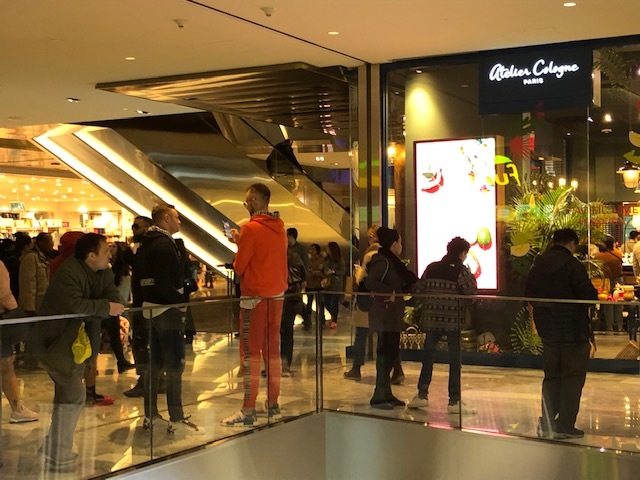 But seriously, the risk is that they’ve built a place that people will window shop en route to their dining destination, but that it will fail to convert passing traffic. Only time will tell how the dynamic between dining and retail plays out at Hudson Yards. I hope they can find the optimal and profitable balance. What you won’t find, and others who have written about Hudson Yards have also noted, is much in the “okay, I can afford this” range. Yes, there are outposts of Zara, Uniqlo, Madewell, and Sephora, but not much beyond that. On the weekend, when the place was truly packed, can you guess which stores had the most traffic? Beauty stores for the win. (And not to repeat myself, but those stores also have plenty of other locations throughout the city.) So I had a theory which was, perhaps these stores are trying out new concepts or merchandising strategies. Even if these aren’t flagship locations, they must still be carrying some high overhead (even if they’ve been given favorable lease terms for now.) 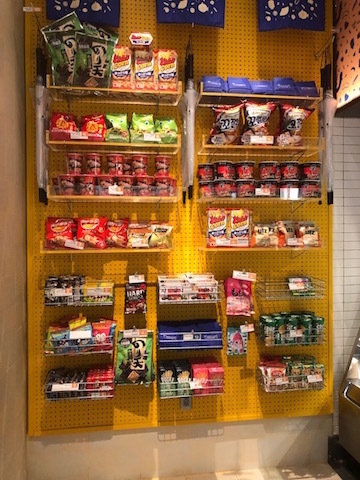 The thing was, once I started talking to some of the staff in stores, the answer was, “No, not really.” There wasn’t anything significantly or perceptibly different in terms of retail tech or product merchandising that you couldn’t find elsewhere. While I didn’t speak with every manager, my sample size did make me wonder, is this a lost opportunity? Isn’t this precisely the kind of location where you want to roll out something new and different? Nonetheless, there were some things that positively stood out to me. The store staff with whom I interacted were truly top-notch. You could tell they had hand-picked their best staff to provide great customer service to browsers and buyers alike. 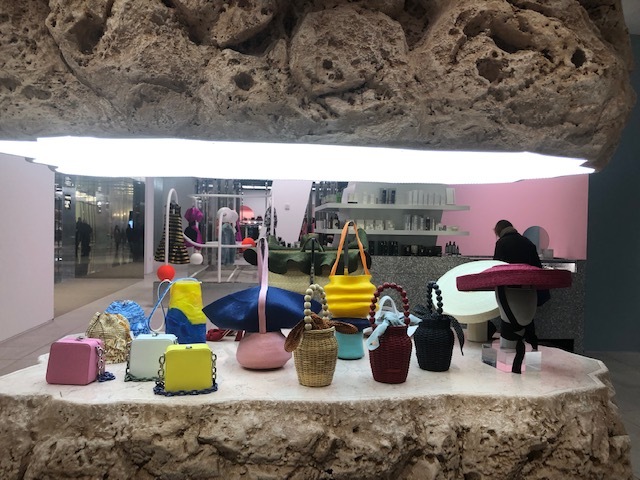 My absolute favorite thing in Hudson Yards was Forty Five Ten - a Dallas-based boutique. 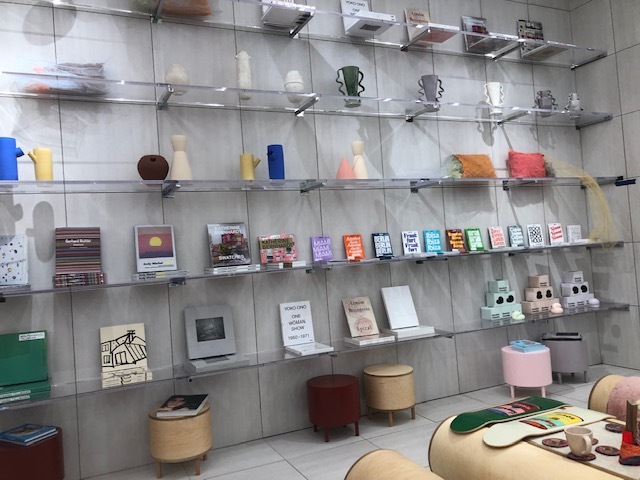 This location is their first in New York, and they offer a curated, lesser-known set of brands and products, brands you’d normally not find together in one place. Set on the fifth floor and divided up into separate shops, it was the closest thing to feeling like you were discovering something new and special. 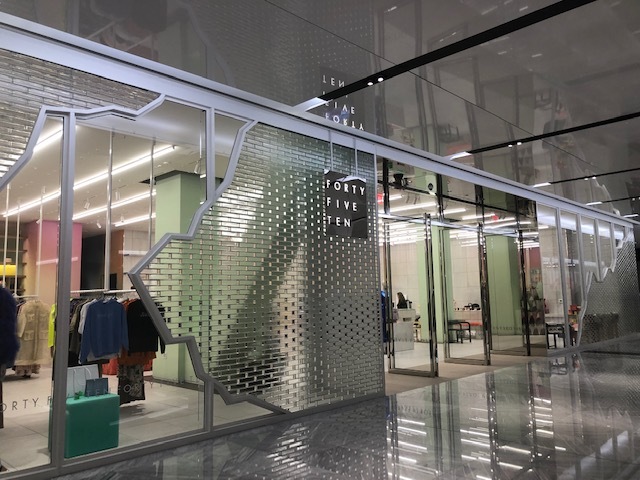 In a mall where most of the brands are known, global entities, Forty Five Ten is the very kind of concept that Hudson Yards needs to become a destination for the city’s varied shoppers. I want to like Hudson Yards, I really do, but truthfully, I probably won’t be going back anytime soon. But I’m one person, and for the sake of retail learning and evolving, I hope it has the opportunity and leadership in place to become a meaningful and important part of the city’s retail landscape.